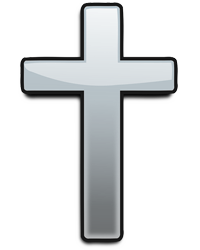 FREMONT - John H. Hess, 78, went home to be with the Lord January 20, 2019. Funeral, Saturday, January 26, 11:00 AM, Aycock’s Primitive Baptist Church, 1764 Black CreeK Rd, Fremont, followed by a time of visiting and sharing. John was a devoted husband and beloved father, grandfather, and great-grandfather. Following his early retirement from Alcoa in Lancaster, PA, he and his wife, the late Sylvia Williamson Hess who died in November, 2017, moved to North Carolina where he took up his love of woodworking and began a remodeling business. He was later called to the Ministry of Eldership and served as a faithful minister of God at both Aycock’s and Muddy Creek Primitive Baptist Churches. He continued to hold the status of Elder Emeritus at Aycock’s until his passing. He is survived by his daughters, Gwendolyn Strausser (Carl) of Stevens, PA and Michelle Long (Dean) of Lititz, PA; six grandchildren; two great-grandchildren; sister, Peggy Kauffman (Jae) Manheim, PA; brother, Charles Hess of Myrtle Beach, SC. In lieu of flowers, memorials are suggested to Aycock’s church, 810 Reidtown, Fremont, NC 27830 and to Muddy Creek Primitive Baptist Church, 3284 Catherine Lake Rd, Chinquapin, NC 28521-9609.